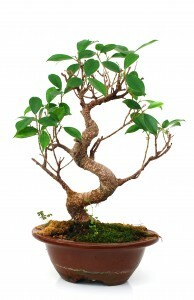 Golden Gate Ficus bonsai, like all other Ficus varieties, require warm and humid environments to thrive. 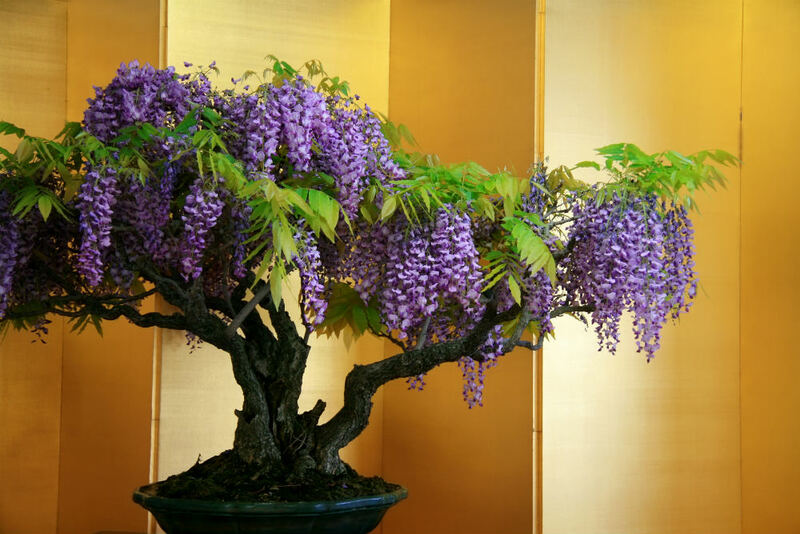 For this reason alone, this species is best grown as an indoor bonsai in most locations. 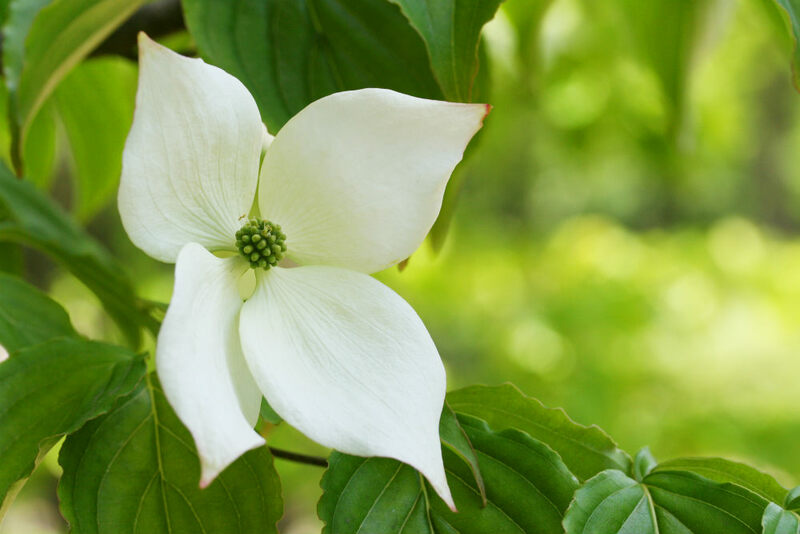 In warm locations, you can place this tree outside during the summer to cut back on maintenance and provide ideal conditions. The Golden Gate Ficus is grown for the attractive gray trunk that they produce. This species grows a thick, sturdy trunk to compliment the shiny green leaves. The gray trunk in also accented with white stripes, giving it the nickname “Tiger Stripe Ficus”. 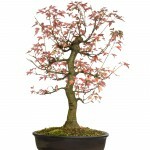 This bonsai also grows extremely quickly, making it the ideal bonsai for beginners. 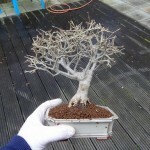 This miniature tree type needs to be watered often due to its location. The fact that it needs a lot of sun creates the need for frequent watering because it will dry out quicker. 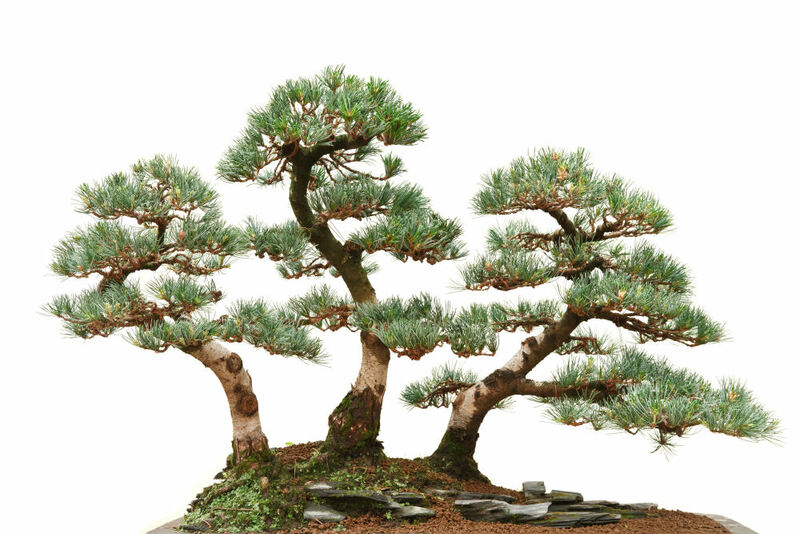 Check your bonsai daily by sticking your finger into the soil to feel the moisture level. If you notice the top of the soil looks dry, then it is probably safe to say that you need to water. Once you get the hang of when it needs water, feel the weight of the pot before and after watering. 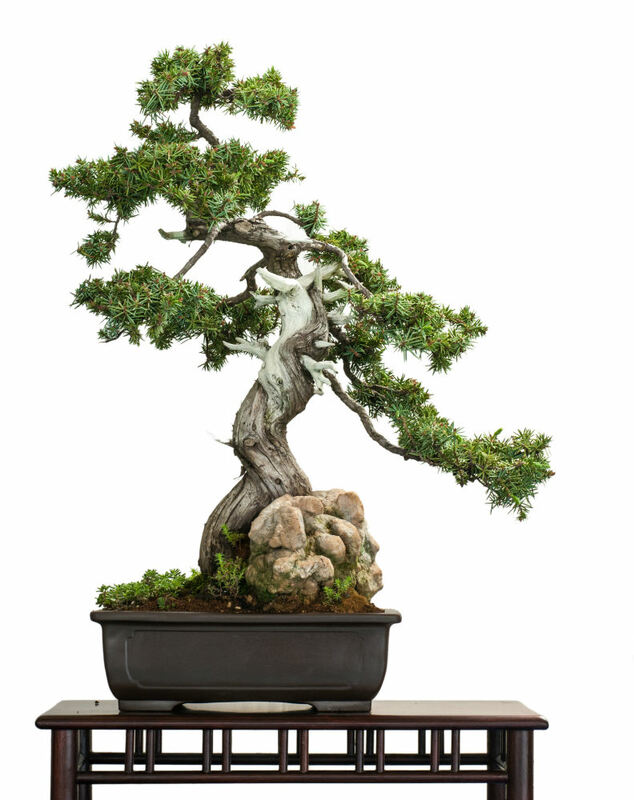 You will start to notice how much it weighs when it is time to water your bonsai. Submerge your pot in a tub of water for a few minutes to ensure that all of the soil is allowed to retain the water. 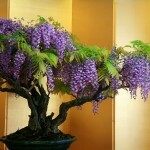 This is the best way to water your bonsai because it ensures that you water fully and throughout. If you cannot use this method, make sure that you spread the water across the entire surface. It is also a good idea to go back again after the water settles and water again. Golden Gate Ficus are best grown anywhere inside that has high humidity. They are native to areas that produce intense rain and jungle-like conditions. 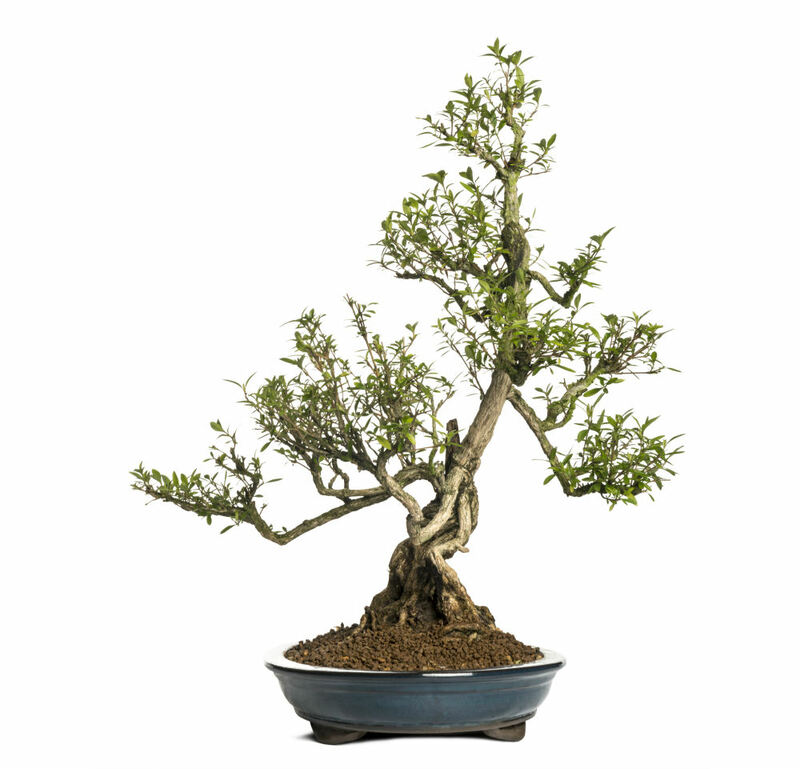 Kitchen windows, bathroom windows, or any other room that says somewhat humid is perfect for this bonsai species. If you cannot provide these conditions, consider using a humidity tree and spraying the tree with a water bottle a few times a day. These will help keep the humidity high and allow the Ficus to develop. This tree species need bright indirect sunlight during the day. It is important that this tree is shaded from direct midday sun and heat. You can move the tree to a location that doesn’t get the full sun or shade the sun if needed. 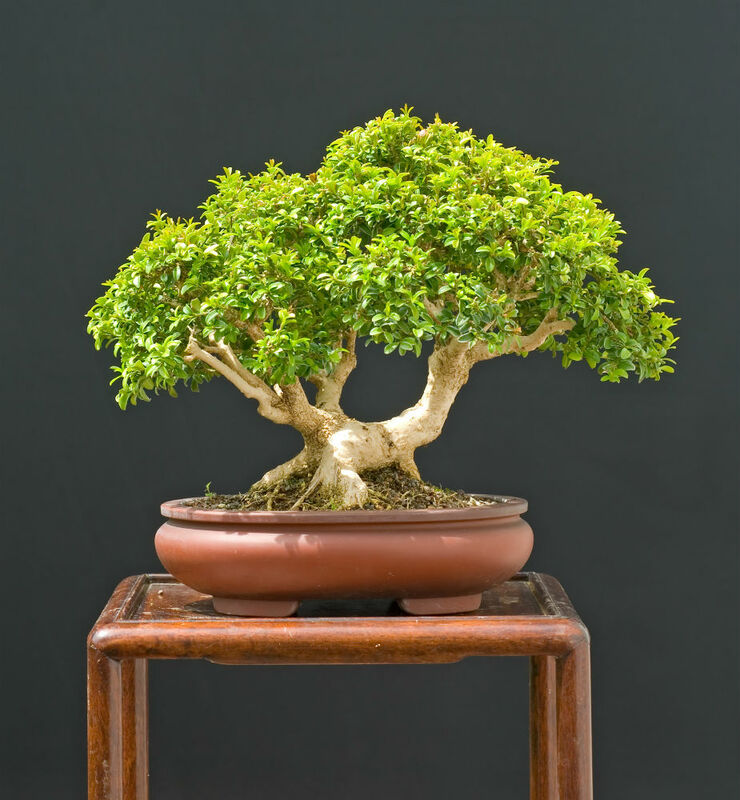 While Golden Gate Ficus bonsai are primarily indoor bonsai, they love to be outside when it is warm. 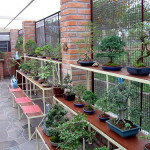 We place all of our bonsai outdoors in the summer once it is hot enough. They enjoys the natural environment and it reduces on the amount of care required to keep them healthy. Just ensure that you bring them back in when temperatures are in danger of dropping below tolerated temperatures. Leaf pruning is essential when training this species in order to reduce the leaf size. 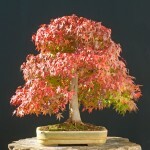 The first 2-4 leaves on a branch are the perfect size for use in bonsai, after that they grow much larger. For this reason, you want to trim each branch back to those first 2-4 leaves after 6-10 leaves have grown on the given branch. Complete defoliation can also be performed on Golden Gate Ficus bonsai at the end of spring. By removing all leaves from the tree, new smaller leaves will grow to take the place of lost leaves. Defoliation can only be performed on healthy trees, as defoliating an unhealthy tree can cripple it. 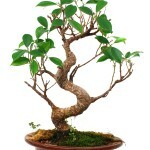 Wiring will also be a vital tool in producing a beautiful Golden Gate Ficus. This is how we train the branches to bend where we want and end in the right location. 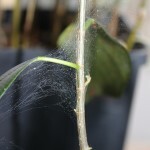 When wiring this species, it is important to check the wiring weekly to make sure the wires are not growing into the branch. 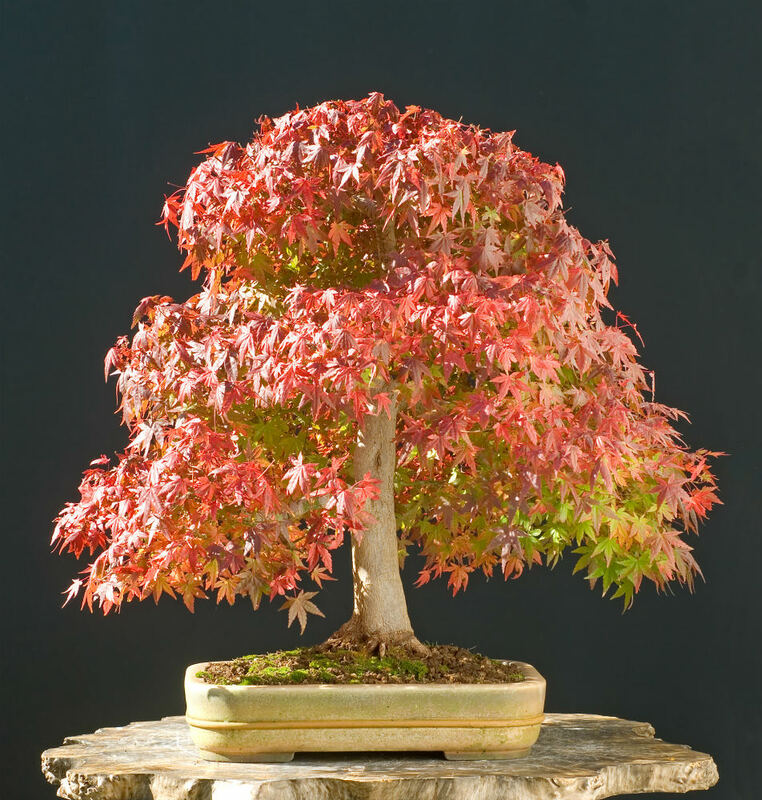 Golden Gate Ficus bonsai are great for formal upright, informal upright, and slanting styles. 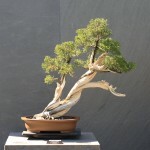 Repot this species every two to three years, at the beginning of spring before the growing season begins. 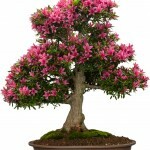 Find a pot that compliments the tree well and it slightly larger than the previous pot. 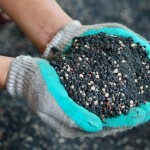 Cover the drainage whole with a piece of screening or loose rocks to hold dirt in. After you decide on the right pot, you will need to find some good replacement soil. This species prefers a well-draining mixture, comprising of mostly sand or other arrogates. Cactus soil with some added arrogates tends to work really well for potting a Ficus. 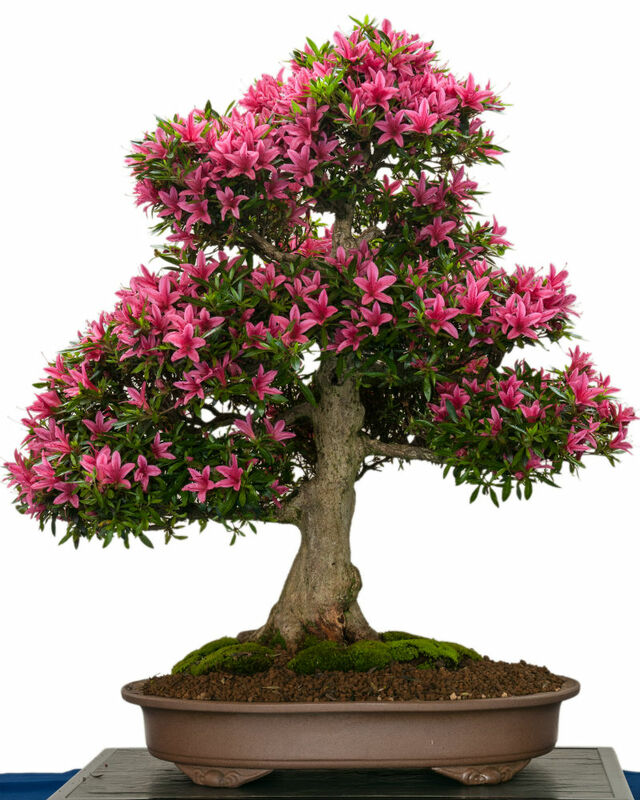 Remove the tree from the old pot and trim back excess surface roots to promote new growth. 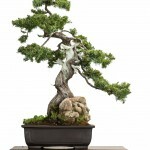 Start with roots that are growing straight down because they will push your bonsai out of this pot. Put the tree in place and tie down with some bonsai wire if needed. This will help keep it in place while the new root system develops. Add the soil to the pot after your know that the tree is secure. Make sure that you fill the pot with dirt and compact it as you go. 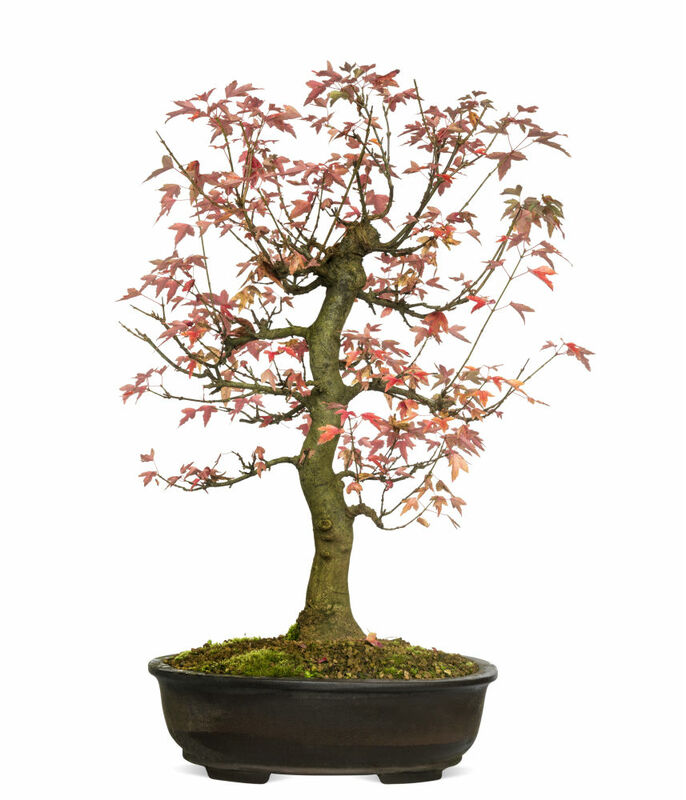 Water your newly potted bonsai thoroughly after your repot it and place it in the shade to recover. 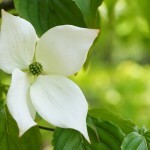 Do NOT fertilize this tree for at least a month after transplanting! 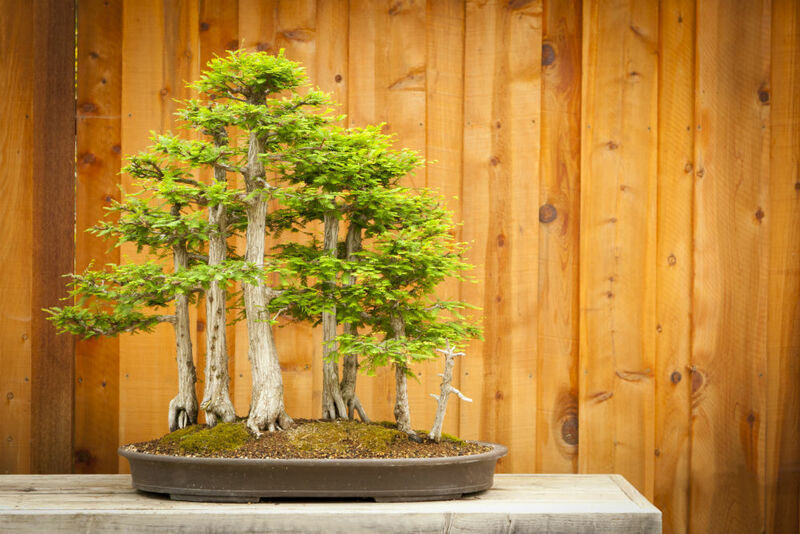 The amount of water a bonsai tree gets is much larger than a tree planted outdoors in the soil. This has the side effect of soil nutrients being washed away quickly. Fertilizing this tree once a week in the spring, and then every other week the rest of the year, will help it thrive. 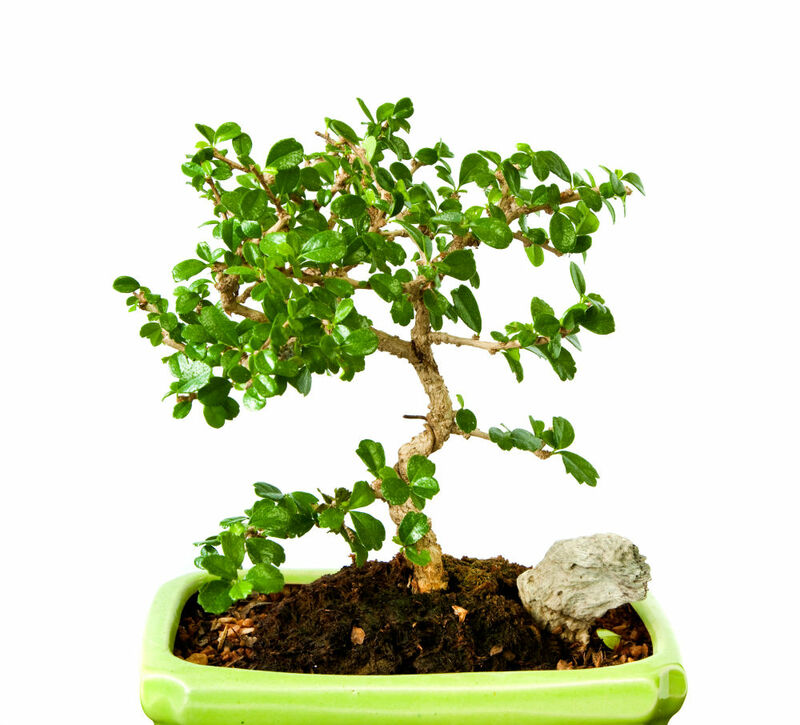 Do not attempt to stunt your tree’s growth by not fertilizing it properly. This will force your tree to sacrifice other existent limbs in order to develop new foliage. 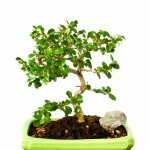 All Ficus species are extremely easy to propagate from cuttings. Take new growth in the summer with a clean razorblade and place it in a sandy soil mix. Dipping the cutting in rooting powder before inserting it into the soil will increase your chance of success, but is not absolutely necessary. Place your potted putting in a bag or provide a dome to conceal humidity. 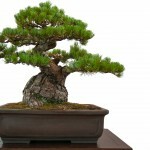 After a month, you should be able to remove the rooted cutting and plant in your typical bonsai soil. If you found this helpful, please share our site with anyone who may be able to use it in the future using our social media tools! 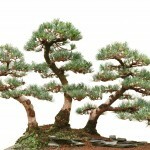 I am afraid that I am loosing my Golden Gate Bonsai. I have never had a bonsai tree before. My son gave me one for Mother’s Day this year. The leaves are turning yellow then brown then falling off. My apartment does not have natural light and the only place that I could place it for humidity is in the bathroom and there is no window. I purchased a heating grow lamp but had to return it because it was broken already. I am afraid of loosing my plant. Could you help me with the proper lighting and positioning for my plant in such an environment that seems to be uncomfortable for my tree. I am printing out the information posted above but feel that I have already over watered her. Is that why the leaves are turning yellow then brown and falling off? I also just took my Golden Gate Ficus Bonsai out into the sun on the porch. There are tiny red bugs crawling on the lower leave and trunk. So small I could not see them when they the tree was inside. This might not be the case with your tree, but most ficus species lose their leaves with the seasons as they are deciduous.